Today is the birthday of James Anderton (June 26, 1830-December 28, 1905). Anderton was born in Lancashire, England (some accounts say Streetbridge, Royston, while others say Haslingden), but came to America with his parents when he was 26 and made his way to Beaver Falls, Pennsylvania. He worked as a miner for several years, before shifting to the hotel business. In 1869, he started the Spring Water Brewery. After modest success, he built a larger brewery, renaming it the Anderton Brewery, which continued in business until closed by prohibition. 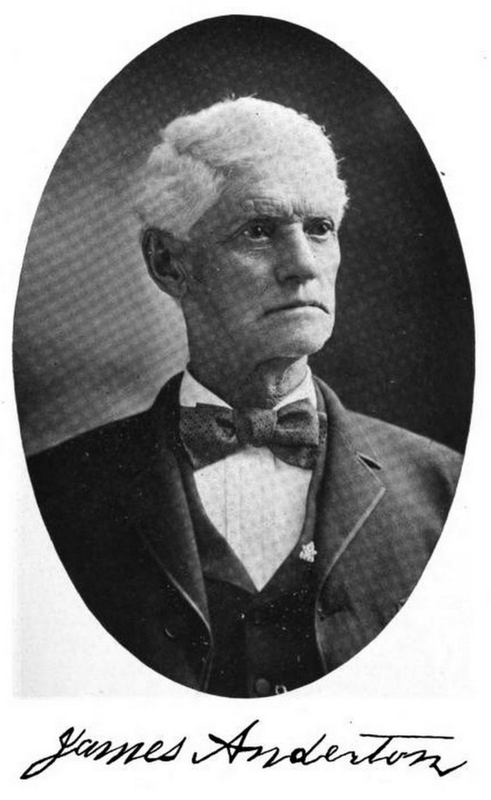 James Anderton (1830-1905), born in England, came to the United States in 1856 and eventually made his way to Beaver Falls. Along with his brother Jonathan Anderton he founded the Spring Water Brewery Company in 1869. The company, located next to the railroad station at 24th Street (and Ninth Avenue), was reorganized and modernized in about 1891 as the Anderton Brewery Company. James Anderton’s son William H. Anderton later took over management of the firm and it was merged in 1905 to become part of the Pittsburgh-based Independent Brewery Company (1905-1933). The local facility was closed in 1920 (like many other breweries) with the enactment of nationwide prohibition. While I could find only a couple of photographs of the brewery, and only one of Anderton himself, there are a number of biographies detailing his life. For example, here’s another one from “Biographical Sketches of Leading Citizens of Beaver County, Pennsylvania,” published in 1899. James Anderton, the father of William Henry, was born in Streetbridge, Royston, Lancastershire, England, June 26, 1830. He worked for eighteen years in the mines in his native place, beginning at the early age of eight years. In his youth he had no educational advantages whatever, his only mental training being a night school organized by himself and his fellow miners, known as the “Youth’s Seminary.” There the boys taught each other, being too poor to afford an experienced teacher. The school organized by these lads has grown into a famous institution of learning, and is now known as the Literary Institute of Oldham, England. James Anderton accompanied his parents to America when twenty-six years of age, worked in the mines at Fallston, until 1866, and then removed to New Brighton, Pennsylvania. He continued to follow this occupation at the latter place until March, 1868, when he removed to Beaver Falls, purchased his present residence, and engaged in the hotel business. The following year (1869), he went into the brewing business in a small frame building, situated quite near the elegant structure in which he at present officiates. The first brewing was made November 30, of the same year, and consisted of only nine barrels. 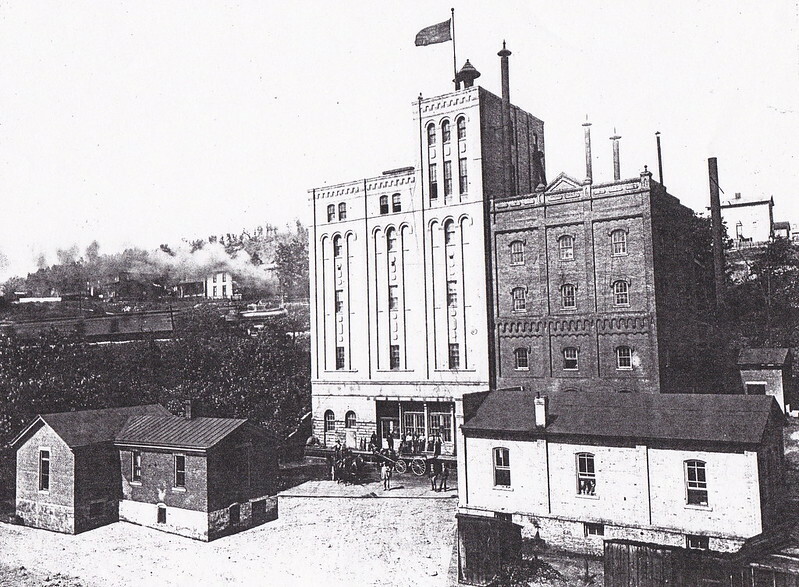 In 1875, Mr. Anderton built the old part of the present structure, and with a much increased capacity, he continued to brew ale and porter until 1895, when he built a large brick addition, with all the modern improvements, and began brewing beer. The Anderton Brewery is now one of the most complete up-to-date breweries in Pennsylvania, and has a capacity of 30,000 barrels per year. There are many larger breweries in the Keystone State, but none more complete. While, still in his native land, James Anderton was united in marriage with Betty Green-wood, a daughter of Joseph and Mary Greenwood. This event took place in 1852, and their union is blessed with five children, viz. : Jonathan; Mary G.; William H.; William H., second ; and Sarah A. Jonathan was born June 2, 1853; he is vice president of the Anderton Brewing Company. He wedded Margaret Hart, a daughter of Hilton and Ann Hart, and their home is made happy by the presence of four sons: James, Hilton, Jonathan, Jr., and William H. Mary G. was born February 1, 1858. She became the wife of C. W. Rohrkaste, who is now superintendent of the Anderton Brewery. They have three children: James A.; Mary A.; and Florence E. William H., the third child, died at the tender age of five years, and the same name was given to the next child. William H., the fourth child, is the subject of this brief sketch. Sarah A., the fifth child, was born October 14, 1869, and died in early childhood, aged three years. James Anderton is a fine illustration of a self-made man, which in a great measure is due to his progressiveness, reliability and integrity. He ranks among the most esteemed citizens of Beaver Falls, and takes an active interest in fraternal organizations, being a member of Lone Rock Lodge, K. of P.; Valley Echo Lodge, I. O. O. F.; Mechanics Lodge, A. O. U. W.; and Beaver Valley Lodge, F. & A. M., of which he has been treasurer for the past nineteen years. He was one of the organizers and original stockholders of the Union Drawn Steel Co., and is one of the stockholders of the People’s Water Co., of Beaver Falls. In his religious convictions, the elder Mr. Anderton is an Episcopalian, of which denomination he and his family are members. Politically, he is a stanch Democrat, but could never be persuaded to seek or accept public office. 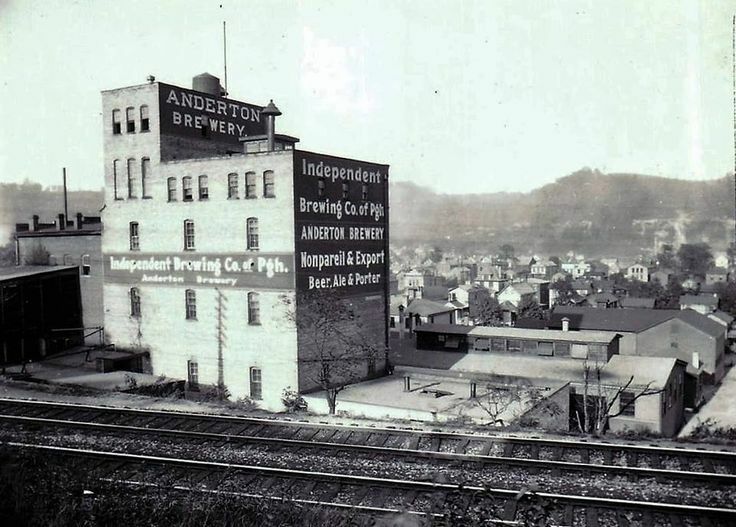 The Anderton Brewing Co. was located in Beaver Falls, between 23rd and 24th streets near the railroad tracks. 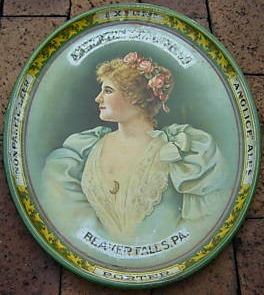 The local owners would sell their company in 1905, but the brewery remained in Beaver Falls producing beer until 1922. 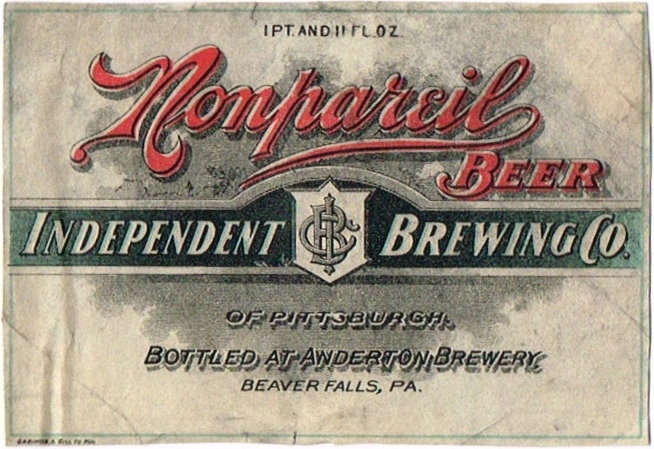 The year Anderton died, the brewery merged into the Pittsburgh entity known as Independent Brewing Co., a conglomerate of breweries formed by the merger of fifteen Pittsburgh and the surrounding area breweries in 1905. But James’ son William continued in a management role with the brewery until it was closed by prohibition.